Looking for a quality and affordable Hardwood Flooring Specialist for your next project? 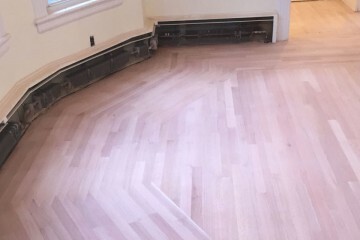 Authentic Hardwood Flooring specializes in a wide variety of stain colors, and staining techniques to suit the customers request. Authentic Hardwood Flooring specializes in custom installation, we work side by side with our customers to come up with the best layout for each project. 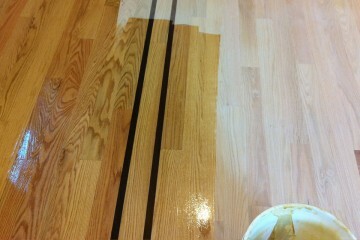 Authentic Hardwood Flooring specializes in sanding and refinishing hardwood floors. We use the best products and equipment available along with "authentic" sanding and refinishing techniques. Authentic Hardwood Flooring is a family owned business located in the Albany New York area servicing all surrounding counties. We have been delivering exceptional craftsmanship meeting all our customers highest demands. 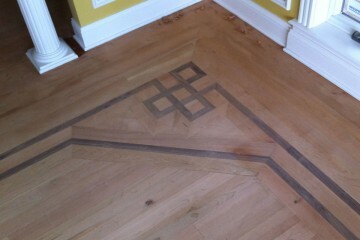 We specialize in all aspects of hardwood flooring including installation, refinishing, custom inlay, and custom staining. We are extremely knowledgeable in all species of hardwood flooring, and the way they are produced unfinished, prefinished, and engineered hardwood flooring. Our mission is to provide our customers with exceptional craftmanship, reliability, and education on the services we provide. © 2015 - 2017 518floors.com. All rights reserved.